When you realized you wanted a smartwatch, you did your homework. You researched Apple, Pebble, Sony, and all of the other manufacturers, weighing the pros and cons of every model. Eventually, after all of your hard work, you found that the Pebble Smartwatch was the one that would find a home on your wrist. But during your research, you came across one startling thing that the Pebble (and other smartwatches) lacked – a worthwhile protective cover. You still bought the Pebble knowing you’d have to outsource additional protection, and just like the smartwatch itself, you’ll do your homework to find the best protection available. Update – Pebble has since been acquired by FitBit. Here’s some info on Pebble, and other tech companies no longer around. A protective covering comes with its own unique challenges, as your Pebble Watch sees a lot of wear and tear every day. Whatever you choose has to be able to withstand anything you put your wrist and smartwatch through. While there are several options on the market today, only one has the ability to protect your smartwatch without interfering with its style. A Pebble Watch skin is your only option. You can shop online for the coolest skins and ensure you’re getting the protection you need. A Pebble Watch skin is far better than any cover that comes along with gadgets. Covers often end up being hard plastic that don’t conform to the unique dimensions of the smartwatch. A one-size-fits all mentality prevails, resulting in a fit that doesn’t actually match your watch. You end up dealing with a case that leaves a bit of space between it and the watch, where dirt, debris, and grime can go to create a disgusting film over the tech you love. On the outside, these cases do ridiculous things to the Pebble’s look, augmenting it shape and size until people can’t but notice the Hulk of a smartwatch at your wrist. 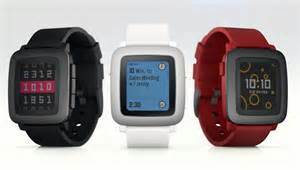 Pebble Watch skins are designed to work with the design of the smartwatch. It won’t add bulk to your Pebble, nor will it interfere with its touchscreen or buttons. With a perfect, customized fit, Pebble Watch skins protect your smartwatch from daily wear and tear, preventing sharp objects and rough surfaces from scuffing, scraping, and otherwise damaging your watch. High quality Pebble Smartwatch skins can protect your watch and look great doing it too. Skins can come in a variety of colours and textures that will make your Pebble look unique. Think of a clumsy day with harsh weather conditions. Without protection you can have some worries about how your Pebble will stand up to it all, but with a skin, you won’t even think about leaving your home. A skin will keep your smartwatch safe and sound, so start putting your research into action and get the protection you need. Check out Mamma to save big at most online retailers!